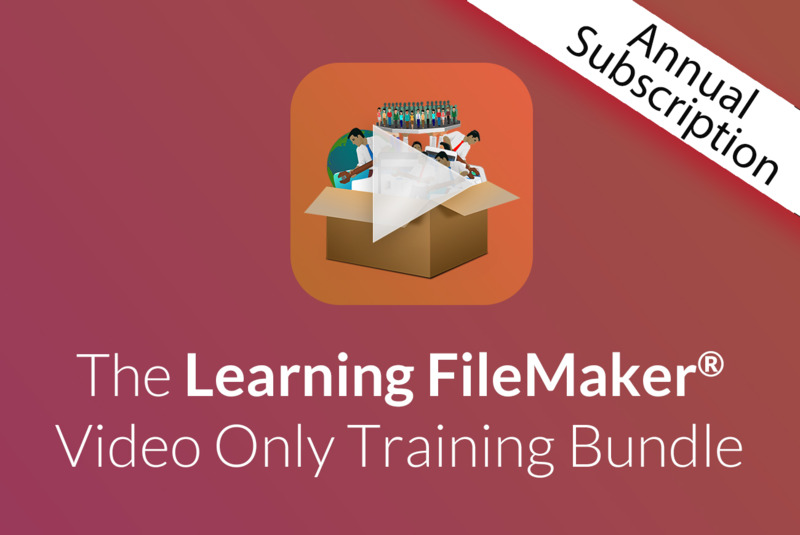 This annual subscription is the complete video package for building FileMaker applications. With this bundle, you will receive over 55 hours of video training, PLUS exclusive Video Content! Thats over a $500 value, all for the introductory price of $199! Experience Richard's dynamic and exciting teaching format, while learning basic, intermediate, and advanced FileMaker development skills. 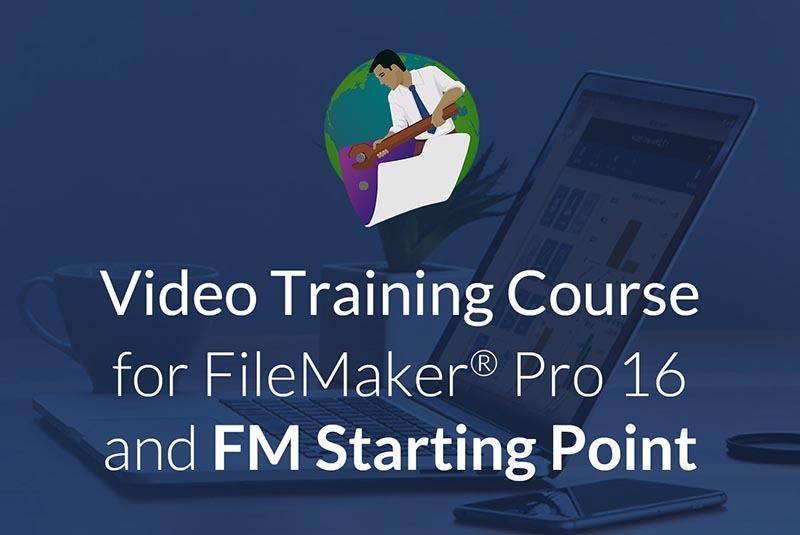 Richard will teach you the ins and outs of building FileMaker Solutions, while keeping an eye on customizing your own FREE copy of FM Starting Point! 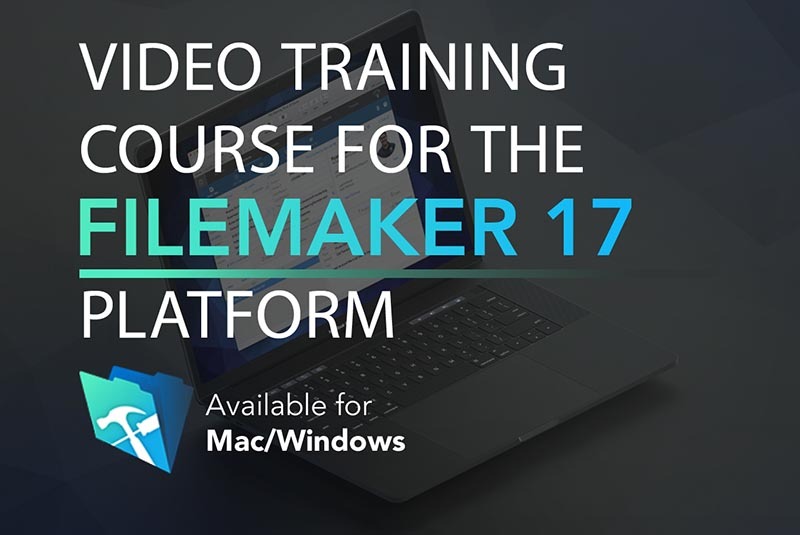 From Richard's 28 years of FileMaker experience to being a long time speaker at FileMaker's Developer Conference, he brings you this 55 hour video course. Take advantage of our limited time offer: One time purchase of $79. Experience Richard's dynamic and exciting teaching format, while learning basic, intermediate, and advanced FileMaker development skills. With 28 years of FileMaker experience and a long time speaker at FileMaker's Developer Conference, Richard will teach you all the ins and outs of building FileMaker Solutions, while keeping an eye on customizing your own FREE copy of FM Starting Point! The course is 9 hours of video content! Take advantage of our limited time offer: One time purchase of $69. Experience Richard's dynamic and exciting teaching format, while learning basic, intermediate, and advanced FileMaker development skills. With 28 years of FileMaker experience and a long time speaker at FileMaker's Developer Conference, Richard will teach you all the ins and outs of building FileMaker Solutions, while keeping an eye on customizing your own FREE copy of FM Starting Point! The course is 50 hours of video content! Take advantage of our limited time offer: One time purchase of $69. 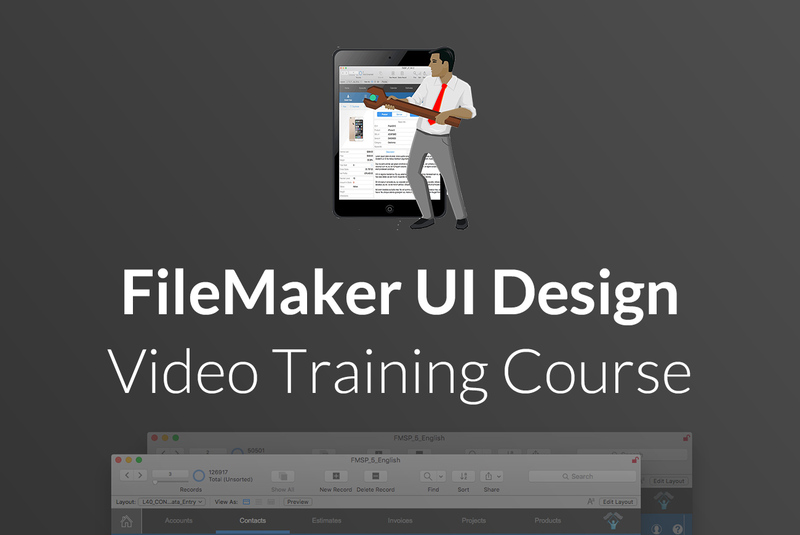 This exclusive 2-3 hour video course focuses on creating Apple inspired user interfaces. Learn the rules of design that will give you the “Apple” look and take your application to the next level! After redesigning FMSP, Richard Carlton knows all the ins and outs of creating a great looking application and wants to pass on his knowledge to his subscription customers. 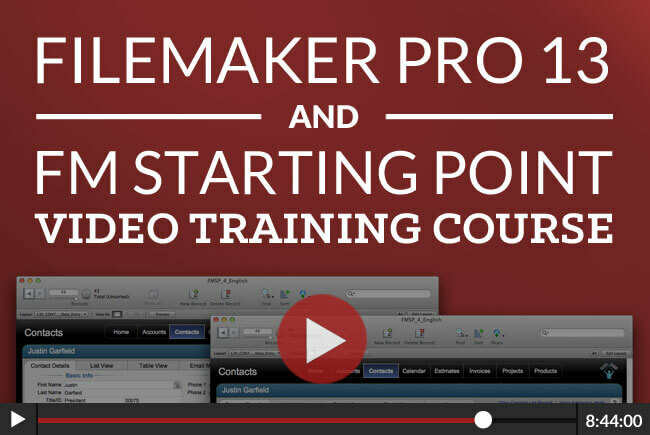 This course is exclusive to the Learning FileMaker Subscription. 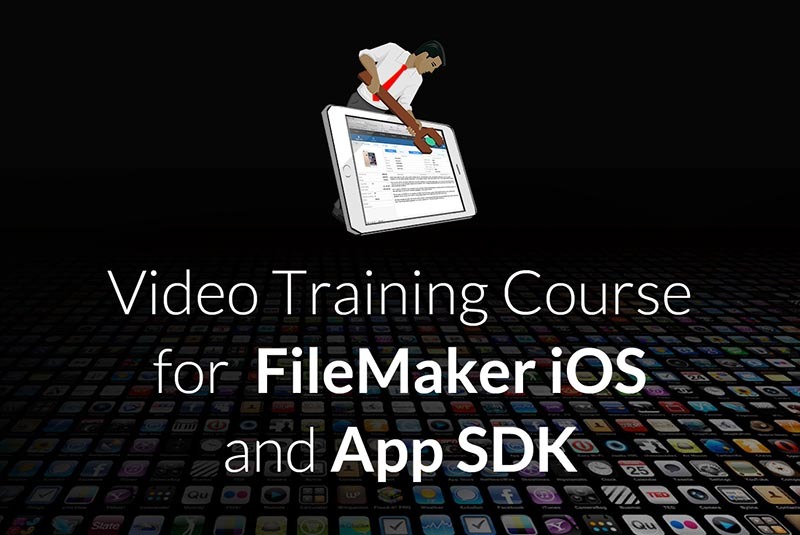 This 5 hour video course focuses on the mechanics of building a native iPhone or iPad app from an existing FileMaker 14 file. 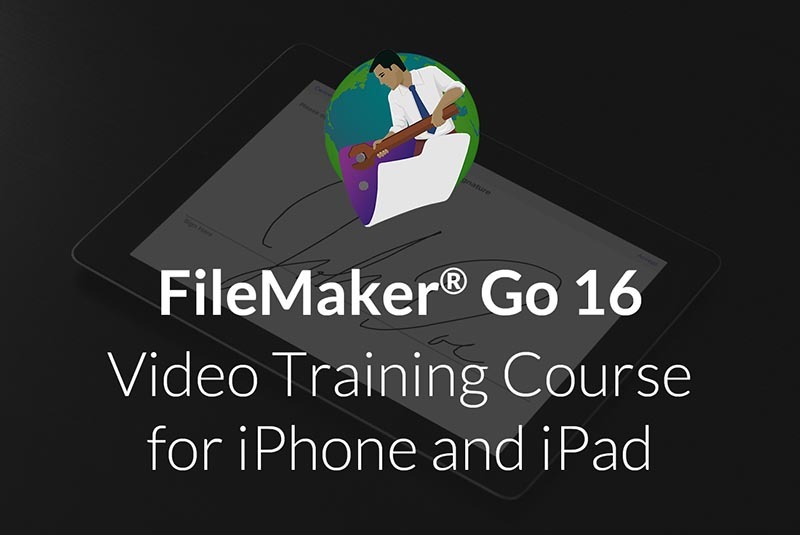 Learn all about behavioral differences between FileMaker Go, and FileMaker Inc's new iOS App SDK aka FIAS. Submitting to Apple's App Store can be a complex process if you are new to Xcode. Our video course walks you through this process step-by-step as well as sharing some tips and tricks that we have learned along the way. The course also includes exclusive interviews with Todd Geist. 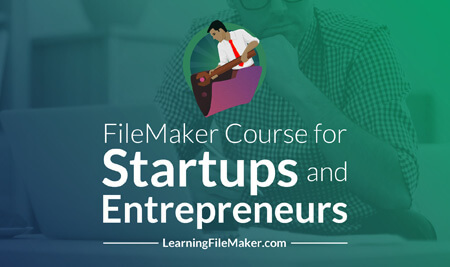 He shares his deep technical knowledge on the various options for updating FileMaker files which are embedded in the FIAS app. Note: Xcode is free, but is Mac only. You need a Mac to submit an App to Apple. Take advantage of our limited time offer: One time purchase of $79. Are you considering creating your own application for your current area of expertise? Richard Carlton will impart some of his experiences and knowledge from being an entrepreneur for over 28 years. He will share some tricks and tools of the trade as well as show you how to develop and market your application. This course is 7 hours of video content! Take advantage of our limited offer: One time purchase of $99.99. Experience Richard's dynamic and exciting teaching format, while learning basic, intermediate, and advanced FileMaker development skills. 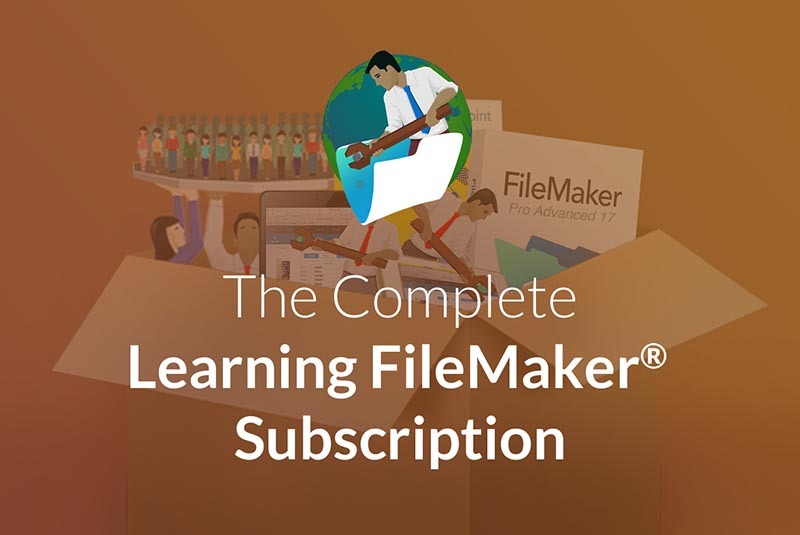 With 28 years of FileMaker experience and a long time speaker at FileMaker's Developer Conference, Richard will teach you all the ins and outs of building FileMaker Solutions, while keeping an eye on customizing your own FREE copy of FM Starting Point! The course is 45 hours of video content! Take advantage of our limited time offer: One time purchase of $69. Experience Richard's dynamic and exciting teaching format, while learning basic, intermediate, and advanced FileMaker development skills. 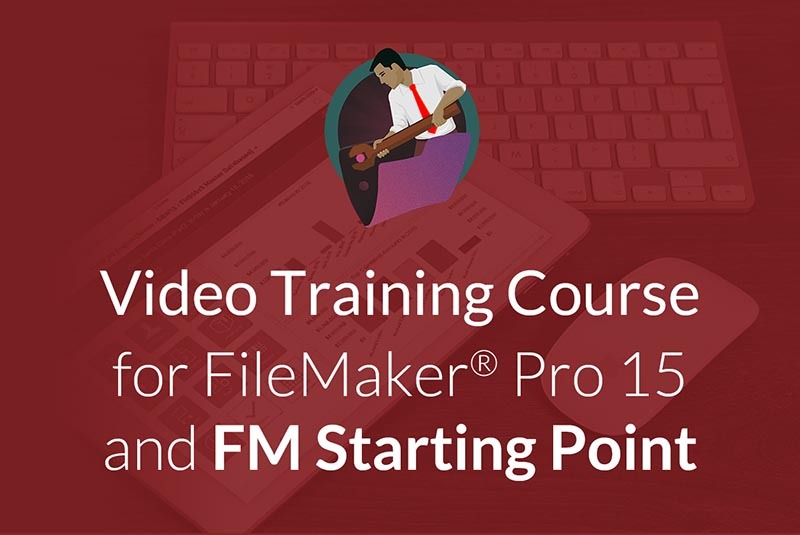 With 28 years of FileMaker experience and a long time speaker at FileMaker's Developer Conference, Richard will teach you all the ins and outs of building FileMaker Solutions, while keeping an eye on customizing your own FREE copy of FM Starting Point! The course is 38 hours of video content! Take advantage of our limited time offer: One time purchase of $49.99. Experience Richard's dynamic and exciting teaching format, while learning basic, intermediate, and advanced FileMaker development skills. 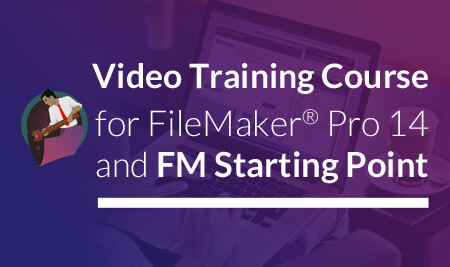 As a long time speaker at FileMaker's Developer Conference, Richard will teach you all the ins and outs of building FileMaker Solutions, while keeping an eye on customizing your own FREE copy of FM Starting Point! New Videos are being added to this course weekly, and we expect more than 30 hours of total content! Take advantage of our limited time offer: One time purchase of $39.99. Learn the skills needed to build your own mobile apps with this 10 hour video training course featuring the worlds most popular solution development platform. FileMaker is owned by Apple Inc, and features a powerful database engine with a very intuitive user interface, perfect for building mobile applications. 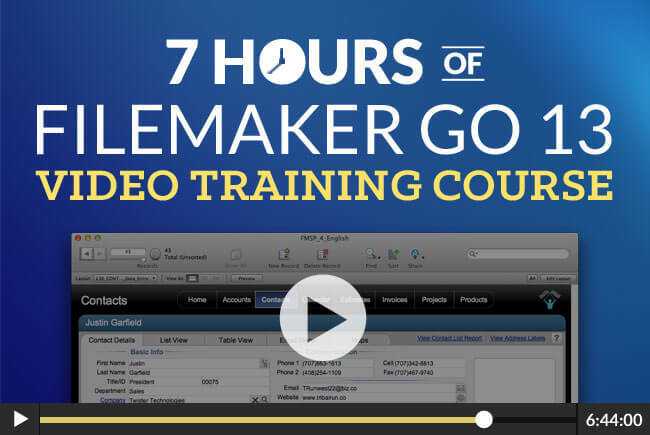 Hit the ground running with this 10 hour training course. These videos span subjects from beginner to advanced, including conversations on developing and building your app for commercial distribution. Richard Carlton has been developing in FileMaker for the past 28 years, servicing the needs of large and small business, as well as government agencies. RC Consulting is a FBA Platinum level consultancy, and staffs a team of 32 FileMaker developers and supporting Staff. RC Consulting is involved with every facet of FileMaker Pro development, including PHP development, iPhone & iPad integration. 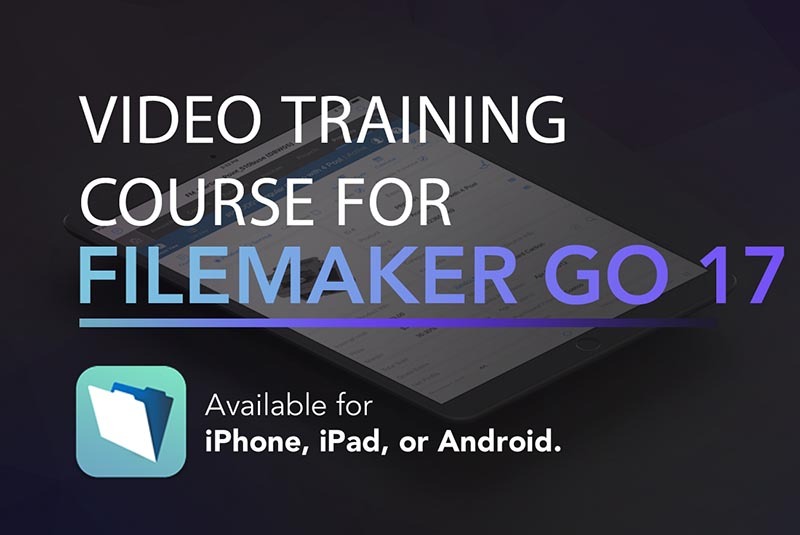 Richard is the author of the VTC's FileMaker Go video training, and is product manager for the Sales Beaver application available on the iOS App Store. RC Consulting has offices in Santa Clara, Sacramento, and Fairfield, CA. Richard Carlton has been in the business of writing custom software and contracting with businesses for computer consultation purposes since 1985. In 1990, Richard Carlton Consulting was created, and later became an "S" corporation.